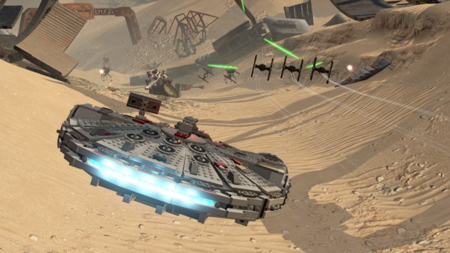 Lego Star Wars: The Force Awakens has been sitting pretty at the top of the UK retail charts for three consecutive weeks now despite a 45% drop in sales compared to last week (it’s still got a couple more weeks to go before pulling level with Lego Batman 2: DC Super Heroes, which enjoyed five weeks at the top). Elsewhere it was a solid week for Uncharted 4: A Thief’s End, and thanks to a retailer’s event (we’re assuming GAME), Naughty Dog’s action-packed adventure jumped up four places (with a 152% increase in sales). Grand Theft Auto V and Fallout 4 also enjoyed their own promotional bumps. Similarly, 11th and 12th placed games Zoo Tycoon and Kinect Sports re-entered the top twenty thanks to their inclusion in new hardware bundles. This entry was posted on Monday, July 18th, 2016 at 2:23 pm and is filed under Gaming News. You can follow any responses to this entry through the RSS 2.0 feed. Both comments and pings are currently closed.